Purchase Agreement Form. Easy and Quick to Use. The buying and selling of goods is the backbone of commerce. However, the form of the actual transaction can vary wildly. The vast majority of purchasing transactions require nothing more than a receipt as documentation, but for other more complex transactions a more spohisticated template will be necessary to adequately protect yourself and record the purchase. Put simply, Purchase Agreements are contracts between two parties for the purchase (and, from the other party’s perspective, the sale) of property. While the type of property detailed in a Purchase Agreement can vary wildly, it is typically limited to property that is not income-generating (such as a business), as this type of property (known as an “asset”) is handled with an Asset Purchase Agreement. Though Purchase Agreements can be used for a variety of items (which are detailed specifically in the agreement itself), they typically deal with equipment and non-income generating property. Smaller pieces of property that require little financial risk typically do not call for a Purchase Agreement. When should I use a Purchase Agreement? Many people intuitively understand that they don’t need to use a Purchase Agreement for any purchase they make – for example, at a garage sale. Purchase Agreements are not necessary for all purchases, but can be very useful in a couple of situations. First, a Purchase Agreement can be very useful for more expensive equipment and property. If you were to sell your neighbor your stapler, for example, you don’t really need a Purchase Agreement simply because it’s so inexpensive to replace. But if you were to sell your neighbor a hot tub, then that might be a situation that calls for a Purchase Agreement. Second, Purchase Agreements are very useful when the condition above is met and especially when you’re dealing with someone you’ve just met. For example, large pieces of property that you purchase or sell on Craigslist.com might call for the use of a Purchase Agreement to essentially act as a written promise between both the buying and selling party. What kind of provisions are in a Purchase Agreement? Although Purchase Agreements are very straightforward forms, they can contain a number of provisions which are especially more necessary the more complicated the purchase becomes. Parties / Effective Date: These two pieces of information are critical as they both outline which parties are taking place in the purchase and when the purchase is made effective. Product(s): Detailing what exactly is being sold, of course, is of utmost importance and should be done with the most accuracy possible. Purchase Price: After the product itself, this is perhaps the information you can least afford to leave out of the Purchase Agreement. Delivery and Shipment: In purchases that cross state lines – International borders are often a horse of a different color – delivery and shipment become big issues. This is especially complicated with large, space-taking pieces of property that will be difficult to ship, because both sides of the purchase will need to come to an agreement over the delivery and shipment terms. Condition of Product(s): The condition of the piece of property actually being sold is, of course, of paramount importance to the transaction. In this provision, the buyer typically agrees that the condition of the goods have been properly inspected and that the property is being purchased with the knowledge of that condition. There are more provisions in most Purchase Agreements that will warrant your attention before signing one; however, the ones listed above comprise much of the bulk and core importance of the agreement. It depends on your situation, particularly on whether you are the buyer or the seller. Both parties, however, share risk whenever entering a new transaction. A seller has to be sure that the money for the transaction arrives safely and as promised while the buyer needs to be sure that what they’re buying truly fits the bill. In more complicated purchases, such as purchasing equipment online between two parties across state lines, a Purchase Agreement is even more warranted because of the potential issues that can arise. There is no definitive answer for when you should use a purchase agreement, but on small purchases that are not much financial risk to you, you can probably leave them be. It’s when you need to be assured that a transaction will go off smoothly that you should consider using a Purchase Agreement – and if the other party refuses to sign, it’s probably best not to complete the sale or purchase. What kind of property applies to a Purchase Agreement? Just about any type of physical property works well in a standard Purchase Agreement – anything that can be described in the contract, essentially. More elusive property like real estate or businesses should be handled by other Purchase Agreements, however, as these can be harder to define and require their own special language and provisions. I already made the sale. Can I still request a Purchase Agreement? Sorry, but you’re most likely out of luck. A Purchase Agreement will not work retroactively on a sale that’s already taken place. Anything that you do decide to print off might act more as a receipt than a legitimate contract, and won’t have the enforceability of a Purchase Agreement. When is a Purchase Agreement valid? So long as both parties receive consideration (the legal element that says both parties need to get something out of the contract) and the contract is willfully signed by two adults, the Purchase Agreement will likely be valid. It is important that a Purchase Agreement conform to the local state laws and regulations about purchases. However, even if a state sales tax is not paid on the purchase the Agreement will still be valid. When is a Purchase Agreement enforceable? When a valid Purchase Agreement (see above) has been signed, it’s immediately enforceable and will continue to be. However, because the Purchase Agreement comprises a one-time transaction, once the agreement has been fulfilled, there is little enforceability left and it will become more and more difficult over time to legally challenge some aspect of the agreement. When is a Purchase Agreement effective? See above. The Purchase Agreement will be effective on signing and remain so; the property legally changes hands and thereafter the Purchase Agreement’s effectiveness dwindles. In a tough economic climate like the one we’re currently weathering, making sure that every aspect of running your business is on-point is absolutely crucial. You have to make sure your sales numbers are good, that you can handle payroll, that all of your employees are doing well…and, yes, you need to make sure that you’re making wise purchases when it comes to company expenses. In all businesses – though some more than others – making purchases is a crucial part of doing business. In some businesses, product purchases on a bulk basis have to be done in order to stay afloat – or even produce a single product. That’s what a purchase agreement form means to your bottom line, and making sure you have the right form should be an absolute priority. That’s why it’s a good idea to be here at FindLegalForms.com…but it will be an even better idea for you to keep on reading. Why are we placing so much emphasis on finding legal forms and not the purchase strategy itself? Well, for one, there’s already a good chance that you have a well-formed and solid business strategy in place for purchasing. We don’t want to worry about that – that’s another article entirely. 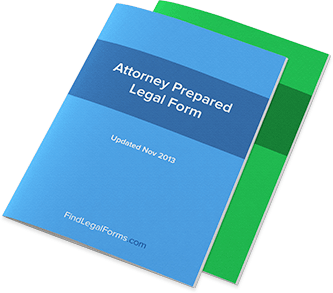 Instead, what we do here at FindLegalForms.com is provide the legal infrastructure to ensure that every aspect of your business runs smoothly. That’s why you need legal forms for purchase agreements – especially if you’re a business that depends upon raw materials provided from another business. This everyday transaction can quickly turn into a major failure if you don’t have the legal forms to have judicial recourse to any potential supply crisis. This is especially important in a recession, when you need to lock prices on raw materials down for as long as you can – in this case, predictability and stability is a good thing. What’s in a Good Purchase Agreement Form? You can already find the answer to this question simply by checking out a form for yourself here at FindLegalForms.com, but let’s go over it a bit so that you can be sure what to look for. First, you want some level of customization in the purchase agreement – but not too much. You should be able to enter the details of the purchase easily and with confidence that the details will hold up in court should the necessity arise. Second, you want clear legal language so that none of the contract or agreement becomes null and void when brought to court – or, at least, if brought to court. This clear language should be readable yet serious and certainly should contain legal terms that will be understood and accepted by all courts. If you want to make a purchase decision, we encourage you to download our purchase agreement forms and get started with a solid, reliable legal form. It will help you understand what needs to be part of the agreement – and it will help your business stay afloat in tough times. Many people haven’t heard of purchase agreements until they start getting involved in real estate - and then, the purchase agreement becomes part of their way of life. Even for someone who only buys one or two homes throughout their life, a purchase agreement can have a major impact on them. Why is that? Well, in order to answer that question, obviously we have to explain what a purchase agreement is. So here’s the long and the short of it. A purchase agreement is typically a form that a potential buyer will fill out, often with the help of a lawyer or real estate agent. This agreement contains some vital information, like the purchase price on the home that the buyer is offering, the legal description of the property, and sales finalization and move-in dates. Let’s take a look at a few of the other features a purchase agreement might include: ? The amount of the down payment to be provided upon the purchase ? A guarantee that the title will be clearly transferred from the seller to the buyer ? Details of an escrow agent, and where deposit money will be held until it’s finally transferred ? A release that says if you are unable to obtain financing for the price, the contract can be cancelled ? A potential release that says if the buyer is unable to sell their current house, the contract can be cancelled It’s easy to see, with how many details must go into a home purchase, why such a written document and agreement would need to be signed by both parties. Not only does the purchaser have duties to fulfill, but the seller also has the duty to honor the contract by providing all that needs to be provided, such as the title of the home. It’s also important that clauses are made that cancel the transaction if the buyer isn’t able to fund the purchase. After all, no buyer wants to commit hundreds of thousands of dollars if they’re not sure they’re able to come up with it! Although this all might sound a little complicated, it’s actually fortunate that so many purchase agreements take place in the United States. Why? Because the entire process has become predictable, standardized, and easy for real estate agents to execute if there aren’t any unforeseen problems. In other words, the amount of purchase agreements written has led to a relatively easy-to-understand form that thinks of all the details and potential issues that the buyer might not have been able to come up with himself. When you look at things from this perspective, you see exactly what purchase agreements can help you when you’re buying a home. They help protect you if you’re unable to come up with the purchasing money, they help set a schedule, and they guarantee that you’ll receive everything that you’re paying for. It helps ensure a smooth transaction - or, at least, as smooth a transaction as possible - and generally keeps the real estate world moving, even when things are a little slow.